Nowadays, not many independent record labels survive to celebrate their twentieth anniversary. Especially given how turbulent the last twenty years have been. During that period, the music industry was forced to reinvent itself. So much had changed. Many labels struggled to survive. Some fell by the wayside. All of a sudden, labels that had been around for years, disappeared overnight. A few came back, but were never the same again. Other labels that had survived the fallout, were forced to reinvent themselves. It was a case of only the strong survive. Especially, in dance music. For the last twenty years, dance music has constantly changed. Genres and sub-genres have come and gone. This was the case with house music. First there was house. Then a myriad of sub-genres were born. Suddenly, there was deep, disco, French, funky, ghetto, jazz, Latin, soulful, tech and tribal house. Sub-genres fell in and out of fashion. The trick has been staying one step ahead of the pack. Knowing what the next popular genre in house music, and dance music per se, took “good ears.” Not many people are born with good ears. Johnny DeMairo was. By 1993, Johnny DeMairo had spent most of his life working in the music industry. He had been working as a DJ since he was fifteen. This gave Johnny his first taste of life within the music industry. Straight away, Johnny knew this was how he wanted to make a living. This proved to be the case. As the years went by, Johnny became immersed in music. He was a DJ, producer, record collector and by 1993, was working for S.I.N. one of New York’s leading promotions company. However, that still wasn’t enough. So he decided to found his own record label, Henry Street Music with Tommy Musto. While both Johnny and Tommy were successful producers, the pair knew their way around the music industry. They knew how the business worked. This gave them an advantage over the competition. What also helped, was that Johnny was already successful businessman. So, it’s not surprise that Henry Street Music became one of dance music’s success stories and recently celebrated its twentieth anniversary. To commemorate this landmark, BBE Music will release Henry Street Music-The Definitive Collection 20 Years box set, on 18th May 2015. And what a celebration of Henry Street Music, the Henry Street Music-The Definitive Collection 20 Years box set is. It features a total of fifty-four tracks spread across five discs. This includes some of Henry Street Music’s most successful releases. There’s contributions from Kenny “Dope” Gonzalez, Lil Louie Vega, Robbie Rivera, Ralphie Rosario and Armand Van Helde. That’s just the tip of a musical iceberg. There’s much more to enjoy on 20 Years Of Henry Street Music-The Definitive Collection. However, what of the man behind Henry Street Music, Johnny DeMairo? His career began when he was just twelve years old. That’s when Johnny DeMairo started learning to mix on a pair of Lafayette T-2000s his father bought him. This was just the first step on the road to DJ stardom. Quickly, Johnny managed to master his set of Lafayette T-2000s, which as anyone whose ever tried to learn to DJ on a cheap set of decks, is quite a feat, and testament to Johnny’s ability and patience. A year later, Johnny got new set of Technics 1200 Mk IIs, one of the first sets in New York. That was the next step on Johnny’s journey. Before long, Johnny was playing parties at the local high school, and in his local neighbourhood. Soon, he was spinning at block parties, where he met much older and more experienced DJs. Undeterred, and with an impressive array of records, Johnny soon won over the older DJs, with his skill and choice of music. His selection of music was eclectic to say the least, with Italo disco and Led Zeppelin sitting next to classics on the West End and Prelude labels. Having impressed his peers with his skills, he’d soon meet a DJ whose skills would impress Johnny no end…Leroy Washington. Aged fourteen and having managed to acquire a fake id, Johnny managed to gain entry to New York’s hottest nightclub, Studio 54, where he’d meet resident DJ Leroy Washington. His mixing skills on a set of Thorens’ turntables blew Johnny away, where he’d mix every type of music, all with impeccable timing and stunning mixing skills. Leroy was just one of a series of people who’d inspire Johnny, and a year later, Johnny would have his own residency. When Johnny was fifteen, he met Danny Cole, a Brooklyn DJ who DJ-ed each Friday and Saturday at Brooklyn’s Plaza Suite. Danny invited Johnny to join him, and together, the duo DJ-ed while live acts like Jimmy Castor also featured at the Plaza Suite. Not only was Johnny was Dj-ing at the Plaza, but also parties at night, and holding down a job in his family business. This allowed him to continue building his record collection, which now numbers eighty-thousand records. These records would find their way into his DJ sets. Around this time, he’d encounter someone else who’d become a huge influence in Johnny’s career, Shep Pettibone. Back then, Shep Pettibone was one of the hottest DJs on New York radio. Along with Frankie Crocker, the pair ruled New York’s airwaves on Kiss FM. Johnny was hugely impressed by Shep’s reediting and mixing skills, and like Leroy Washington, became influential in shaping Johnny’s nascent career. They weren’t the only DJs who’d influence Johnny though. This also included freestyle DJs Albert Carera and Tony Moran who together, made up the The Latin Rascals. As well as the Latin Rascals, The Dynamic Duo, a.k.a. the late Tommy Sozzi and Tommy Musto both influenced Johhny. All of these DJs played their part influencing Johnny’s DJ career. Through meeting DJ at record pools and in clubs, Johnny soon had numerous contacts among New York’s music community. However, soon, he’d have contacts much further afield. Although Johnny had plenty contacts within New York, he needed contacts further afield. He was able to increase his contacts worldwide by joining a promotion company the Street Informations Network. This allowed him to network with DJs from worldwide and also played a part in Johnny forming his own record company Henry Street Music, which became one of the most important and influential label in dance music. Henry Street Music was founded in 1993, by Johnny De Mairo and Tommy Musto. Both were already successful producers, and experienced in the ways of the music industry. Johnny was also a successful businessman. However, like all successful businessmen, he knew his limits. So he brought people in to help with other parts of Henry Street Music. To deal with distribution and street marketing, Johnny originally enlisted the help of Silvio Tancredi and Tommy Musto, the owners of Northcote Productions. They were already responsible for legendary house labels Sub-Urban, 4th Floor and 25 West. A&R was left to Johnny, while Nicky Palermo became Johnny’s studio partner and right hand man. 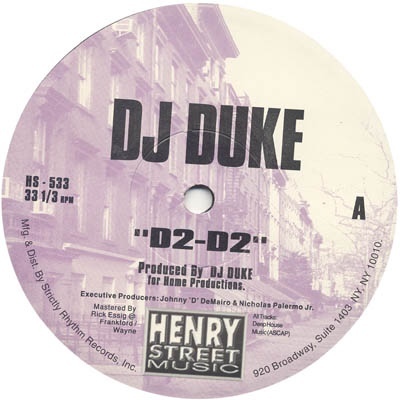 Quickly, Henry Street became known as one of the most innovative and influential dance labels in the US. The reason for this was the quality of music Henry Street Music was releasing. It was groundbreaking, and streets ahead of the competition. Much of the music was described as innovative, and quickly found favour within the dance music community. That’s despite Henry Street Music being Johnny’s “other” job. What makes the story of Henry Street Music even more remarkable, is that Johnny was still working full-time. At first, Johnny was working at S.I.N. a New York promotions company. Later, Johnny became head of A&R at Atlantic Records. This meant Johnny ran Henry Street in the evenings and weekends. Despite this hectic and gruelling schedule, Johnny still managed to attract some of the biggest and most talented recording artists to Henry Street. Among them were Kenny “Dope” Gonzalez, Lil Louie Vega, Robbie Rivera, Ralphie Rosario and Armand Van Helde. They all released tracks on Henry Street Music. However, so did some tracks that had passed others by. It wasn’t just new music Henry Street was releasing. Since the label was founded, old tracks and hidden gems were unearthed. Some were over twenty years old. Johnny resurrected these tracks, helping breath new life into them, using his enthusiasm, knowledge of all things disco and house and of course, his A&R skills. This meant that many a track that slipped through the net first time around, was given a second chance. These tracks played their part in the rise and rise of Henry Street Music. Its star was in the ascendancy from its first release. 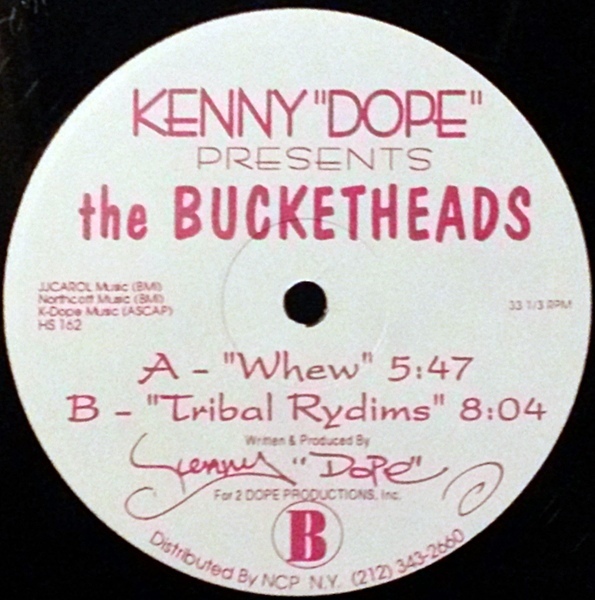 This was Whew, a track from Kenny Dope Presents The Bucketheads. It was released in Spring of 1994. Straight away, Whew caught the attention of DJs and dancers. Already, Henry Street Music was providing part of the musical soundtrack in New York’s most fashionable clubs. It didn’t take Henry Street Music long to hit the musical jackpot. This came as no surprise to some critics. Already Henry Street Music had established a reputation for releasing cutting-edge, contemporary dance music. 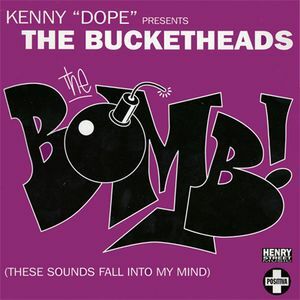 Success came courtesy of the label’s fourth release, Kenny Dope Presents The Bucketheads’ Bomb (These Sounds Fall Into My Mind). Not only was Bomb a hit in the US, but worldwide. Suddenly, Henry Street Music was one of the leading US dance labels. The success didn’t stop there. Henry Street Music was an international success story. After just four releases, Henry Street Music wasn’t just a player in the US, but worldwide. With Johnny’s finger always on the pulse of the music scene, the success of Henry Street Records grew and grew, resulting in it becoming one of the major players in dance music. Meanwhile, Johnny became one of most influential people in the music business. Constantly Johnny spent his every waking moment DJ-ing, producing and continually building his legendary eighty-thousand record collection. Now, twenty-two years after it was founded in 1993, Henry Street Records is still releasing quality music. That’s what it’s been doing since its first release. To commemorate the success of Henry Street Music, and its first twenty years in business, I’ll tell you about the 20 Years Of Henry Street Music-The Definitive Collection box set. Disc One of 20 Years Of Henry Street Music-The Definitive Collection features eleven tracks. Most go back to the label’s early days. Fittingly, Henry Street Music’s first release opens disc one. That was Kenny ‘Dope’ Presents The Bucketheads’ Whew. It was released in 1994, caught the imagination of DJs and dancers. This set the bar high for future releases. However, 1994 was going to be a vintage year for the nascent label. Among the other releases during 1994, were Anthony Mannino presents Syncopation’s It’s Jazzy and Armand Van Helden presents Old School Junkies’ Hey Baby. Both were funky, soulful and most importantly, innovative. That’s apparent when you spin tracks like It’s Jazzy. Even twenty-one years later, it’s timeless. So, is the single the transformed Henry Street Music’s fortunes. That was Kenny ‘Dope’ Presents The Bucketheads’ The Bomb! (These Sounds Fall Into My Mind). It gave Henry Street Music a worldwide hit. For the new label, this was a game-changer. Dirty Harry, who was introduced to Johnny by Kenny Dope. One of the Sunset Park producer’s finest moments is Ascension (The Ethereal Funk Mix). It features on The Next Dimension E.P., which was released in 2003. Ascension draws inspiration from disco, funk and soul, and epitomises everything that’s good about house music. It’s one of Dirty Harry’s finest moments on Henry Street and disc one. Although I’ve only mentioned six of the nine tracks on disc one, I could just as easily have mentioned any of the tracks. Johhny DeMairo took quality control seriously. Only the best and most innovative tracks were allowed to feature the Henry Street Music label. That would be the case throughout the next twenty years. It’s no surprise that disc two of 20 Years Of Henry Street Music-The Definitive Collection is also crammed full of quality house music. There’s eleven tracks to choose from, including Armand Van Helden presents Old School Junkies’ The Funk Phenomena. It was released in 1996, on Old School Junkies Pt. 2. Innovative describes a track which marries elements of French Touch, hip hop and funky house. Just like all good music, it’s stood the test of time. That’s the case with much of the music on disc two. It’s difficult not to succumb to the delights of Todd Terry’s I Thought Your Love. This is a track from the 1996 deep house single, Todd Terry presents Fingertrips. Funky and soulful, hooks aren’t in short supply. The same of I Wanna Know. It comes courtesy of Kenny ‘Dope’ Presents The Bucketheads. They gave Henry Street Music their first worldwide single in 1994. On the B-Side was I Wanna Know. with its funky, soulful and its joyous sound is hard to resist. 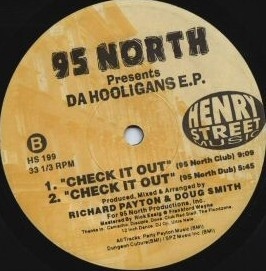 Hooks certainly haven’t been spared on 95 North presents Da Hooligans 1996 single, Who’s Hoo. Stabs of a blazing saxophone add a jazzy sound, to a track that funky, soulful and sometimes, sultry. Then there’s JohNick’s Open Up Your Eyes. Anthemic and uplifting, it’s hard to resist the delights of Open Up Your Eyes. However, the best has yet to come. My highlight of disc two has to be the Philly Jazz (Remix). It comes courtesy of Brutal Bill and featured on Project #3. Released in 1996, the Philly Jazz (Remix) is a delicious, and driving slice of jazz house. Relentlessly Brutal Bill teases the listener as the track builds and builds. All the time, a Henry Street classic is unfolding. Nearly twenty years later, and this Henry Street would still fill a dance-floor. That’s the case with so much of the music on disc two. That includes Mike Delgado presents The Upstairs Lounge’s Byrdman’s Revenge and DJ Duke’s The Hustler. That’s not forgetting DJ Sneak presents Polyester 2’s Reachin’. Each of these tracks show why Henry Street Music was already one of the most respected, and successful dance labels. With Johnny DeMairo at the helm, Henry Street Music was one step ahead of the pack. As a new millennia took shape, Henry Street’s reputation was on the rise. The great and good of dance music were releasing tracks on Henry Street. This included both halves of Masters At Work, Armand Van Helden and Robbie Riviera. Henry Street Music had come a long way in a short space of time. In 2001, The Pound Eyes released The Pretty Face EP on Henry Street Music. The E.P. also featured The Omi-Palones. They played their part in the success of The Pretty Face EP. Its highlight was My Eyes. Disco, jazz and soul combined seamlessly to create a hook-laden anthem. As the new decade began, Henry Street picked up where they left off in the nineties. Back in 1996, Little Louie Vega collaborated with The Chameleon on The Missile. It’s an innovative deep house track. Little Louie Vega adds a myriad of sci-fi sounds and bursts of vocal to the hypnotic beats. It’s what one would expect from a Master At Work. However, back in the nineties, Henry Street was home to some of the biggest names in house music. Many were creating Funky Music. 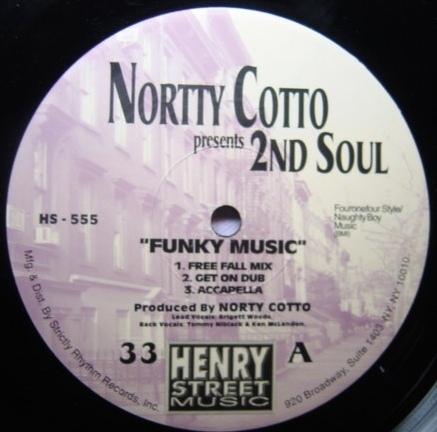 This includes Norty Cotto presents 2nd Soul. They released Funky Music in 1996. Although funky, there’s a soulful twist to Funky Music, which still has a contemporary sound. That’s the case with Party Hardy, another track from 95 North presents Da Hooligans. It wasn’t released until 2000, when it surfaced on a promo sent out to DJs. Its inclusion on 20 Years Of Henry Street Music-The Definitive Collection is to be welcomed, as belatedly, a hidden gem can be heard by a wider audience. 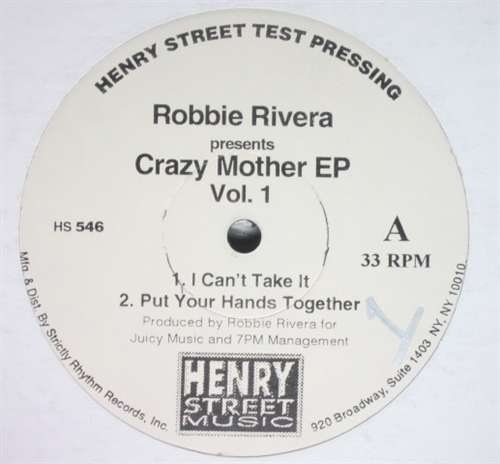 By 1999, Robby Rivera was well on his way to becoming one of the top house producers. He released Crazy Mother EP Vol. 2 on Henry Street Music in 1999. It featured the infectious and urgent Get On The Floor. It showed what Robbie Rivera was capable of. Since then, he’s become one of the most successful producers, releasing a string of successful albums. Before that, Henry Street Music provided him with a musical platform. That was the case with That Kid Chris whose I Believe features on disc three of Henry Street Music-The Definitive Collection 20 Years. So does DJ Stew’s Funky Fresh and JohNick’s Magic. This slice of musical Magic sees the quality continue on Henry Street Music-The Definitive Collection 20 Years. However, there’s still two more discs to go. On disc four of 20 Years Of Henry Street Music-The Definitive Collection, there’s another ten tracks from the Henry Street vaults. Johnny DeMairo is spoiled for choice. Eventually, he settled on ten tracks. This includes Ray Roc presents Ray Roc Zone’s Shake It Again. It was released in 2002, on The Ray Roc Zone (Parts 1 & 2). A sultry saxophone sits above the crispy, choppy beats. In doing so, they provide a yang to the drum’s yin. After this we go back to the nineties. Furious George 3 released their eponymous single in 1997. It featured Paradise By the Furious Light, which was arranged, mixed and produced by George Rivera. It’s a joyous, hands in the air anthem. The same can be said of Next To You. Next To You was released back in 2003. It’s multi talented collaboration. Producer Josh Harris enlists the help of Philter Inc and Sandy B. Straight away, when you see the words Sandy B, you realise there’s going to be vocal masterclass on Next To You. There is. Sandy whose best remembered for her classic, I Think I’ll Do Some Steppin’ Out, plays her part in a dance-floor filling anthem. Albert Cabrera drops the tempo on Melted. It’s one of the lesser known tracks on Henry Street Music-The Definitive Collection 20 Years. Melted has never been released. That doesn’t matter. The hooks haven’t been spared, as Albert relentlessly teases the listener six magical minute. Andy Ward and Paul ‘The Wikkaman’ Timothy presents The Mentalists provide another hidden gem. That’s Came Into My Life. With its choppy vocal, lush arrangement and even vibes solo, it’s a case of what’s not to like? Drawing inspiration from disco, jazz, funk and soul, Came Into My Life proves the perfect way to close disc four of 20 Years Of Henry Street Music-The Definitive Collection. Apart from the tracks I’ve mentioned, BQE’s Steal Your Love, Tony Moran presents Bond-Age’s and Die Another Day and Groove Culture’s Feelin’ It deserve a special mention. I could just as easily have mentioned them. Just like the the preceding discs, disc four of 20 Years Of Henry Street Music-The Definitive Collection oozes quality. After four discs and forty-two tracks, the Henry Street story is almost at an end. There’s still the twelve track on disc four of 20 Years Of Henry Street Music-The Definitive Collection to consider. They bring the story up-to-date. This starts with DJ Duke and Roland Clark’s D2-D2 (I Get Deep), The version chosen is the Timmy Regisford Shelter Mix. It was released on Henry Street Music in 1996. Elements of hip hop and house melt into one, on this hypnotic sounding track. From the hypnotic, to the melodic and dramatic. That’s Mike Rizzo presents Tiger Blood’s Like That. It’s a real rarity, and has never been released before. For whatever reason, this killer house track has lain in the Henry Street vaults. Not any more. This melodic, dramatic and joyful anthem belatedly sees the light on 20 Years Of Henry Street Music-The Definitive Collection. E-Smoove’s Lake Shore Drive is another track that’s never been released before. However, Smoove had released The Guitar E.P. on Henry Street in 2001. That was his only release for the label. Until now. Lake Shore Drive is something of a slow burner. Gradually, the arrangement builds, and E-Smoove shows their hand. All the time there’s a sense of anticipation, as the track takes shape. It’s worth the wait, as Lake Shore Drive proves to be another hidden gem. DJ Kwest’s Love to Ecstasy was released in 2014, to celebrate the twentieth anniversary of Henry Street Music. That’s fitting. Love to Ecstasy epitomises the Henry Street sound. 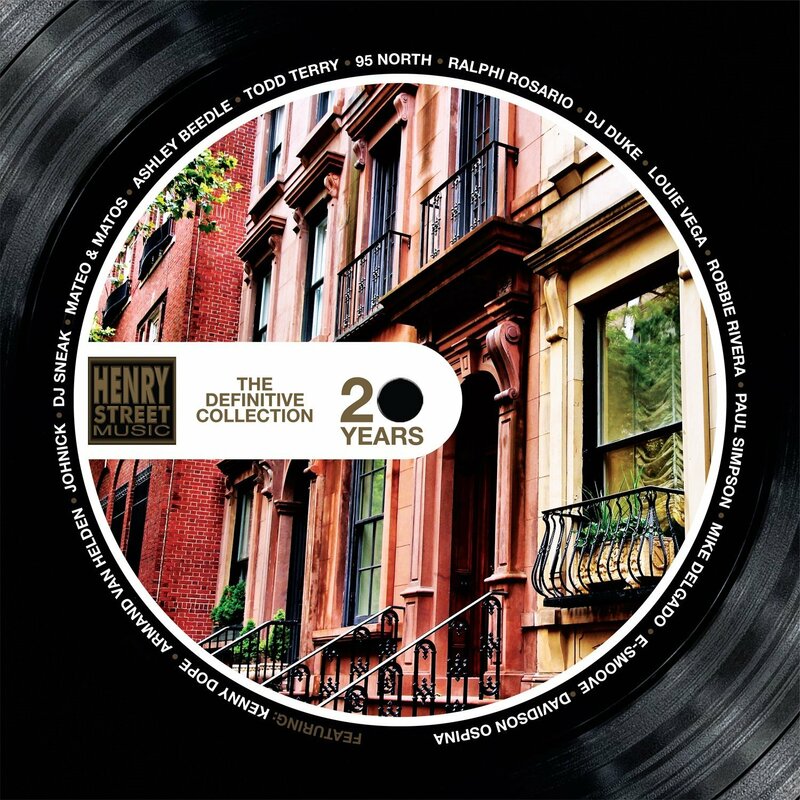 Closing disc five of 20 Years Of Henry Street Music-The Definitive Collection, is a collaboration between two giants of dance music Todd Terry and Marshall Jefferson. It’s their original demo of Party People. This seems a fitting way to bring this musical history of Henry Street Music to a close. Ever since Henry Street Music released Whew, by Kenny Dope Presents The Bucketheads, the New York based label was on its way to becoming one of most successful and innovative labels in the music of house music. With Johnny DeMairo at the helm, Henry Street Music released some of the past three decades. It’s documented on 20 Years Of Henry Street Music-The Definitive Collection, which will be released by BBE Music on 18 May 2015. Featuring fifty-four tracks spread over five discs, Henry Street Music-The Definitive Collection 20 Years is a fitting musical history of one of house music’s greatest labels. 20 Years Of Henry Street Music-The Definitive Collection is a lovingly compiled box set, which is sure to bring the musical memories flooding back. There’s classics aplenty on 20 Years Of Henry Street Music-The Definitive Collection. Alongside the Henry Street classics, are singles, tracks from E.P.s, hidden gems and rarities. Each of these tracks play their part in the sound and success of Henry Street Music. Its success and sound is documented on 20 Years Of Henry Street Music-The Definitive Collection. From 1994 right through to 2014, Henry Street Music was one of the most successful and innovative labels. No wonder. Johnny DeMaira ensured that Henry Street Music was one step ahead of the pack. Constantly, he was looking for the next big thing. He was never content to stand still. That was other labels. Instead, Johnny ensured that the music Henry Street Music released was always groundbreaking. Sometimes, Johnny was at the forefront of a musical genre, including French Touch. As one half of JohNick, he was one of the leading purveyors of French Touch. So it’s fitting that JohNick feature on 20 Years Of Henry Street Music-The Definitive Collection. They played their part in the rise and rise of Henry Street Music. For twenty years, Henry Street Music’s star shawn brighter than the rest. 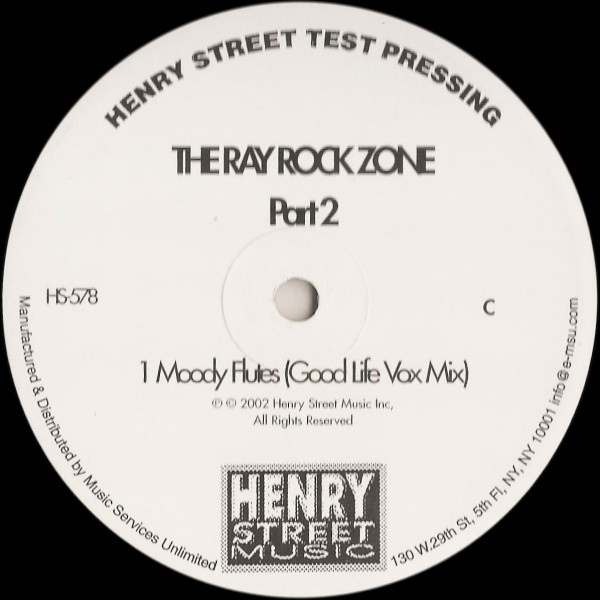 During that period, Henry Street Records released some of the most influential, innovative and finest music from the golden age of house music. It’s documented on 20 Years Of Henry Street Music-The Definitive Collection, which is a reminder of house music’s golden era, from one of house music’s greatest labels, Henry Street Music. And where is Nicky p today????? Erased from Henry Streets history, Johny????? ?